Step 2: Click on Access and then Virtual Server. Step 3: On this page you will need to enter in the below settings. Enter a name or description (eg, webcam, RDP, etc.). Protocol, select TCP or BOTH. Private Port is the LAN side port on your home network. Public Port is the Internet (WAN) side of your home network. LAN Server is the internal IP address of the machine/computer/camera that you want to direct connections to. This is typically a 192.168.10.x address. Click add and save the settings. You should now be able to test your port at www.portchecktool.com. Please keep in mind your ISP (Internet Service Provider) can be blocking certain ports such as port 80, 25 and 21. You can call and ask if they are. If you are still not able to see the ports check the firewall and anti-virus software on your computer. You have a webcam that has the IP address 192.168.1.100 and it runs on port 80. You want to be able to access this camera from outside your network on port 8080. 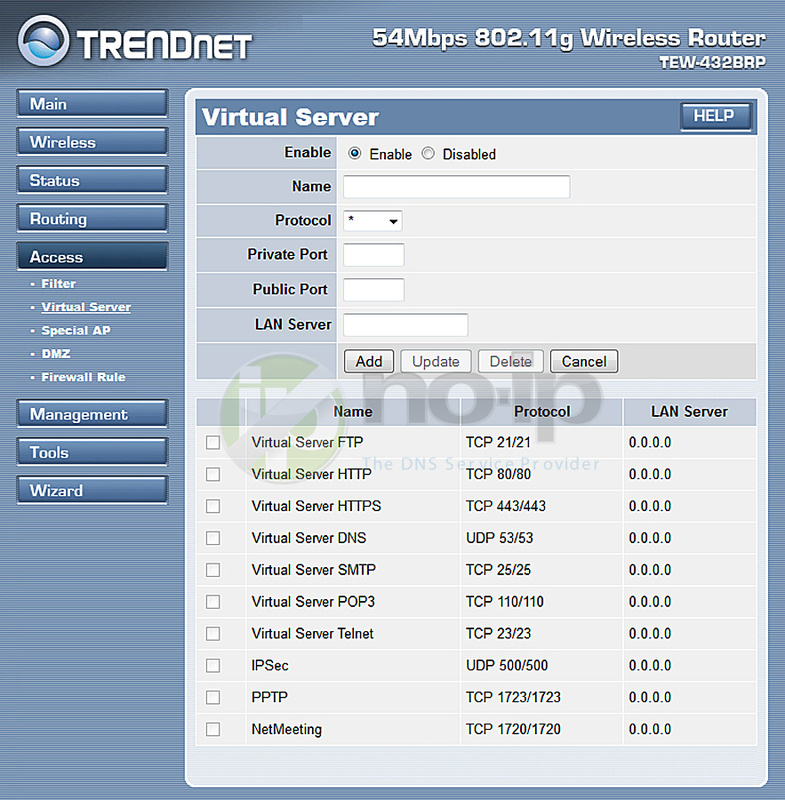 You would enter the below values into port forwarding page.